Sarah's Blog Of Fun is teaming up with a bunch of fabulous blogs to offer you the chance to expand your library. 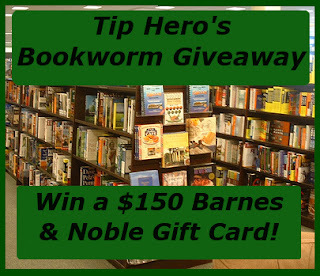 One lucky reader will be the winner of a $150 Barnes and Noble gift card, delivered electronically for immediate use! This giveaway begins on January 16th and will run for 2 weeks, closing on January 30 at 11:59pm US Eastern time. Open to United States and Canada, 18+. Enter below for your chance to win this very book-y prize by filling out the form below. Be sure to come back daily for more opportunities to enter. Good luck!